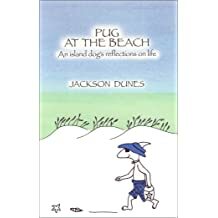 Diana Taylor, who uses the pen name Jackson Dunes, is an innovative, inspirational writer of the Pug At The Beach books. She teaches people how to pursue their dreams and live a life of joy. 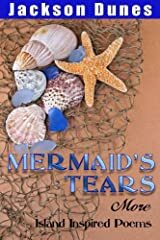 Her own journey has brought her from being a stay at home mom, through a difficult divorce, to a life altering decision to leave her home of 25 years and chase her dream of living "at the beach." 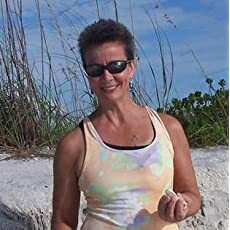 In 2008 she moved from rural New Hampshire to South Florida. 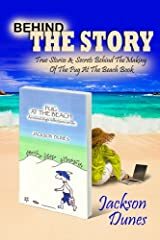 Taylor's unique approach to writing, whether the Pug books, or her short stories and essays, has garnered much attention and respect as well as a legion of devoted followers who speak of being consistently motivated to make positive changes in their own lives after reading her work. 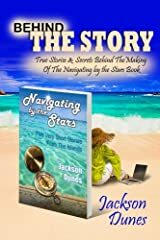 At the end of a very long road, bumpy and laden with hazards too many to list and capable of disabling the most seafaring of vessels, I took a chance and hitched a ride traveling another route to a different destination. One sweet deal later, I headed south. Photos of the beach available in many different formats.It's all about inspiration. 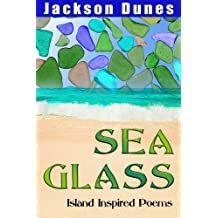 Many years ago when I was living in New Hampshire in a town that was a two hour drive away from the ocean, I was inspired by images of the beach that I found in magazines or online. When I finally moved down to a latitude little enough to have summertime temperatures all year, I started taking pictures. As a writer I know that words carry a certain weight. Words have the power to hurt or to heal. In my books I string together certain words in a certain way to illicit certain emotions from my readers. I have to craft a mental image to get my point across. Pictures are a different matter altogether. Without much effort, pictures evoke memories and emotions more than words can. They say a picture is worth a thousand words. They're also worth a thousand memories. I like to do a walking meditation on the beach. It's really quite simple. My focus is entirely on what's in front of me: the sand, the shells, the waves as they reach the shore. If my mind starts to wander simply pausing for a moment to take a few deep breaths will help me get centered again. 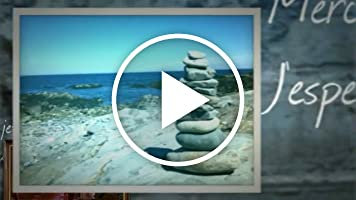 Biddeford Pool, MaineTry a walking meditation next time you're out and about. On the beach, in the mountains, or on a city street, walking meditation is a good way to stay mindful and at peace. Despite tender correction, the mistakes continued. 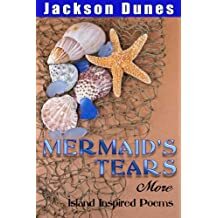 And they were awful mistakes too, not just the kind of careless errors one might be prone to when the speed of the mind far surpassed the fluidity of fingers on a keyboard. These were the kind of mistakes that dare a person to give up because the transparency of self loathing and subsequent need to be punished had grown to tiresome proportions. I like to say I have three dogs, two real and one virtual. Pug is my virtual dog. Buddy and Lilly are my real dogs. They're poodles. Buddy is a mini and Lilly is a toy. These are a few of my favorite dog things. Cairn at Biddeford Pool, Maine. Generally I like little latitude beaches with white sand and warm, really warm, water. So I wasn't sure how much I'd miss my southern beach when I traveled up to Maine this past summer. You've seen these things around on packages, in print ads, and on the web. But what are they? They're a type of bar code that will, when scanned with your smartphone, redirect you. In this case, you'll be redirected to my Amazon Author Page. 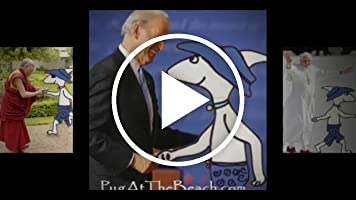 The Great Debate - Is Pug A Children&apos;s Book? Pug At The Beach. A small dog teaches us all how to live an abundant and authentic life. Havana, Cuba"It was down a cobble stoned, palm lined street in Old Havana that Andre Kazanas last walked before his untimely and self inflicted death at the age of thirty-two. A while back I wanted to buy a particular book online but it came with $1,200 of "free" downloads. Included in the sales pitch was a long list of secondary products along with a description of those products. But something just didn't feel right about this deal. It felt contrived. Later I found out about the philosophy behind the deal. 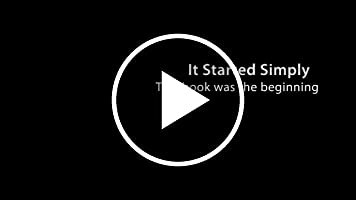 How Pug Was Created ~ The Introduction From The Book "More Adventures From The Beach"
This is the introduction from the second book in the Pug At The Beach book series,More Adventures From The Beach.Availability and purchasing info follows the introduction. 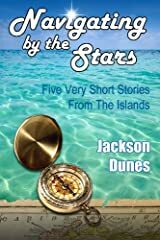 Long ago in a faraway land,on a remote island at the end of a string of islands,surrounded by warm, clear, turquoise green waters,where pirates and carpenters with PhD’s live,(each having reputedly escaped from a former life),in a quaint little house on Petronia Street,a small dog was born. Florida is called the sunshine state but we do have cloudy days. Here are just a few of the more interesting cloud formations I've seen. .
For more information on using or buying my photos visit my RedBubble site. Pug As The New Cure For Depression? "The fact is your work has inspired me in my darkest of times, and that is such a GIFT to give to anyone! 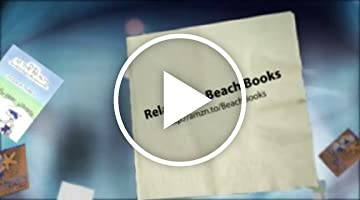 Gary and I are both still struggling to find jobs in this depressed economy, but you have given me such a boost with your "Pug At The Beach" book, that I do not find myself in a daily black hole, as I had been. Frankly, your book is WAY better than the antidepressants I have been on!!! Love and Blessings to you ever and always! 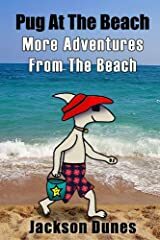 ♥"
"More Adventures From The Beach"
available now on Amazon and Barnes & Noble. Many years ago I was MIS-diagnosed with a terminal liver cancer and given 6 months to live. It was a mistake. An error in the lab. And it was a very important lesson for me that included, among other things, to live each day to the fullest. 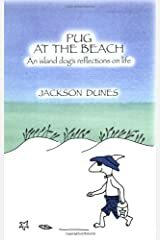 The next in the series of Pug At The Beach books is now available on Amazon & Barnes & Noble. Bicycles in and of themselves are magical. Personalize them and they become that much more special. Pug, being about as individual as an island dog can get, rides a unicycle. In this Pug At The Beach adventure, he's tweaked his bike to make it a fantastic adventure machine. 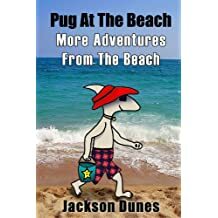 This adventure is from the new book: Pug At The Beach, More Adventures From The Beach. 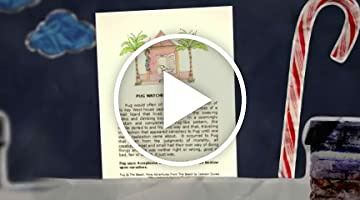 Group of plein air artists paints scenes at Delray Beach park And Pug is one of them! For people who think that inspiration follows rules, this one is for you. I "paint" with a group of plein air artists on a monthly basis. The only thing is that I don't paint. At the meetings, which are held outdoors, I choose to either sketch Pug or something Pug related or I photograph interesting sites around town. I have a friend who is really, really busy at work right now. It's starting to catch up with her. I reminded her of what her pal, Pug, said about the importance of play. Take 15 minutes today to do something fun just for yourself. Here's a photo I posted on Facebook of the fun I engaged in one morning with a popular kid's toy. The sense of smell is a powerful thing capable of traversing decades to bring to the forefront memories of long ago. I was in Miami last week. There with a friend for business, I couldn’t help but play tourist and take lots of photos. I’ve lived in the country for far, far too long and I’m just a little bit of a dweeb as a result. I hadn’t ever seen anything like it before; not in the movies, not in books, never - anywhere. So when I saw it lying on the beach, it was with a fair amount of caution that I approached the bizarre looking creature. About two feet long, it was brown with stripes and spots that were astriking shade of electric blue, and it had a freakishly large orange eye whichblinked when I got close enough to touch it. Her laughter filled the room. “That is just so you!” She was referring to the notepad clipboard and the Kooky Pen I had hanging in my shower. For the uninformed, Pugisms are tidbits of Zen Wisdom from Pug, the island dog philosopher. If you don't know who Pug is, click here. Originally, Pugisms were left page filler text for the Pug adventures in the first book. It wasn’t until I walked out of my neighborhood Publix Supermarket into the warm, South Florida night that it came to me. My links were broken. 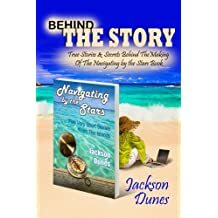 Called "The Pearl Of The Outer Banks" it's the last inhabited island in this string of islands which lie 30 miles off the North Carolina coast. Most of the island is designated as National Seashore which means its rugged charm is free of condos and billboards. Striking in its beauty, it makes my heart race just thinking about it. The great thing about being artistically inclined is an inherent eye for fun. The creative person can take a normally boring object and tweak it until it becomes an invitation to linger. It’s less about generating smiles or a sense of awe as much as it is about self expression. I’m amazed at the amount of traffic out on the ocean. Sailboats, shrimpers, yachts, jet skis, kayaks. Having seen them all from this and other shores, I am most intrigued by the freighters that regularly pass by my beach. 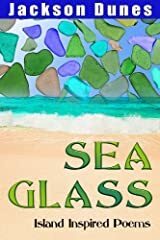 David McRee is the author of Florida Beaches: Finding Your Paradise on the LowerGulf Coast, a guide to the beaches of southwest Florida. 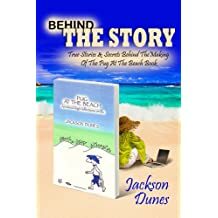 A third-generation Floridian, David is the creator of BeachHunter.net, and BlogTheBeach, a website and blog, respectively, both devoted to the unique beauty of the Florida Gulf Coast beaches. He has a broad knowledge of the native and exotic plants and animals of the Gulf Coast. He was picked up on the streets of Miami. Alone, hungry, and afraid, I could only imagine what he had been through. Without the skills to process what had happened to him, the daily hardships must have been terrifying. And yet, he kept going. Before I lived in my house by the sea, I owned an old Victorian farmhouse built in 1860. In its original condition, the staircase leading to the second floor was worn and dreary. The former owner had painted it an odd anduninspiring shade of brown. One winter I decided to change that. Click on this image to listen to Kenny's The Key's In The Conch Shell while you read. There’s always an abundance of activity at the beach. Sometimes when I’m casually walking the at water’s edge, I look down and there’s the most perfect shell right at my feet. The harmony of it all is simply magical. It’s then that I become aware of exactly how blessed I am. This week I have two perfect shells of a different kind to share with you. Last week I played hooky. Instead of working at Pug At The Beach, I visited a local zoo, went shoe shopping, and hung out at the beach. My youngest kid was here last week for a visit, her last before going off to college this week. 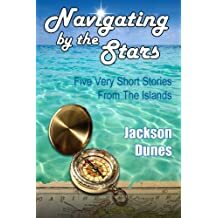 If you'd really like to read a story, click on any of the previous entries from the main menu. They're all timeless in nature. Otherwise, enjoy this compilation of photos from previous posts. I have a surfboard. It’s an In The Eye, 6 footer, with fixed fins, and I got it in a game of chance. I was betting that the guy who crashed into my car out on that isolated beach road didn’t have adequate car insurance so I negotiated his surfboard as a marker. Turns out I was right. Rip currents have the power to lure people to their death. It’s not so much act of deceit, if you’ll allow me to personify this act of nature, but a false sense of our own powerlessness that gets us. It’s funny how sometimes things can change so quickly. One day life is going along in its usual fashion and the next thing you know you turn around and wham, things are completely different. That’s the way the beach is. Literally. One day it’s flat with little or no distinguishable features and the next day huge sand cliffs have formed and you ask yourself, how on earth did that happen? I’m a firm believer in celebrations. They are an expression of gratitude, and gratitude is an essential component in making our dreams come true. We must first be thankful for what is before we can invite the what is to be into our lives.